If you have kids, then you will know that they are probably the clumsiest and the messiest when it comes to eating food and drinking. You will find yourself cleaning up crumbs and spilt drink many times throughout the years of parenthood. Even though we have a dining table in our back room, I'm always finding myself having to pick up food or brush up food crumbs off the floor and chair, never mind cleaning up spilt drinks on floors and tables in the past. 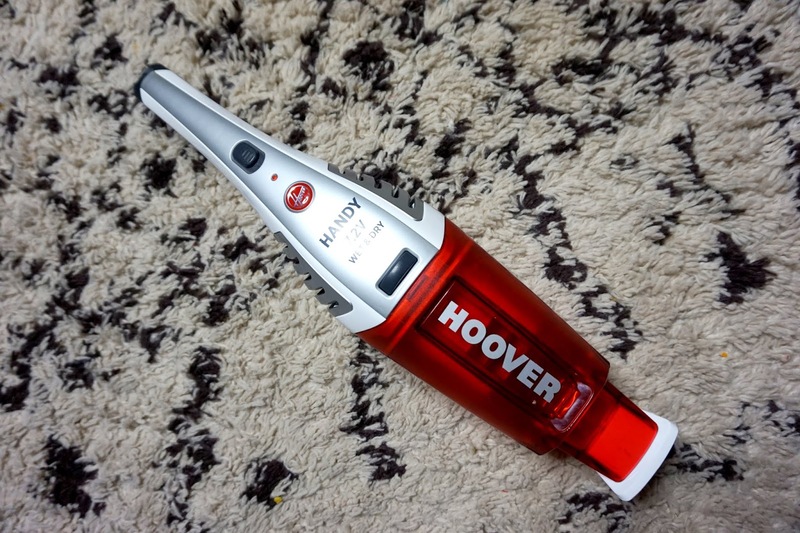 A product that has been great use recently is the Hoover handheld vacuum cleaner we were given to review from AO.com. 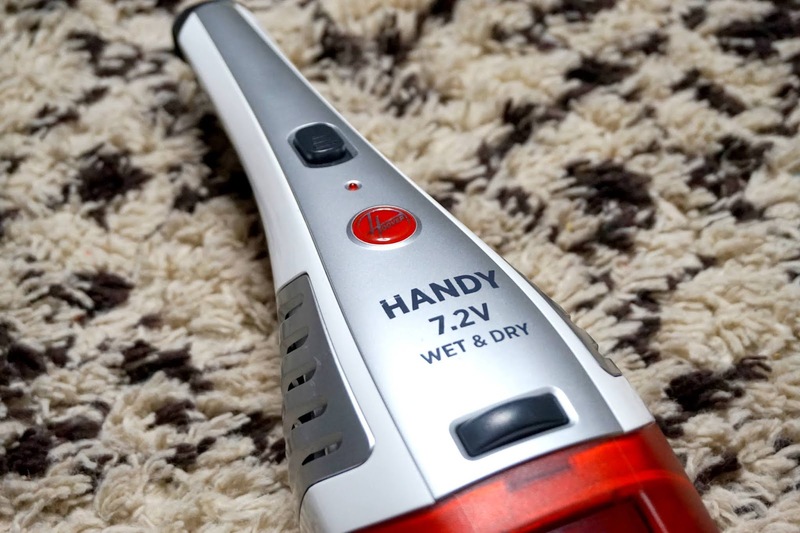 It's a small and lightweight handheld vacuum cleaner that is great for vacuuming food crumbs, fluids and just giving the room a quick little vacuum. It's a must-have for any parent or anyone who wants a vacuum cleaner that is portable and handy around the home. What's great about this handheld vacuum is it has 0.3 litre dust capacity, so you don't need to empty it a lot. It's portable, so you can carry it around anywhere and everywhere, whether it's upstairs, the car or even the garage. 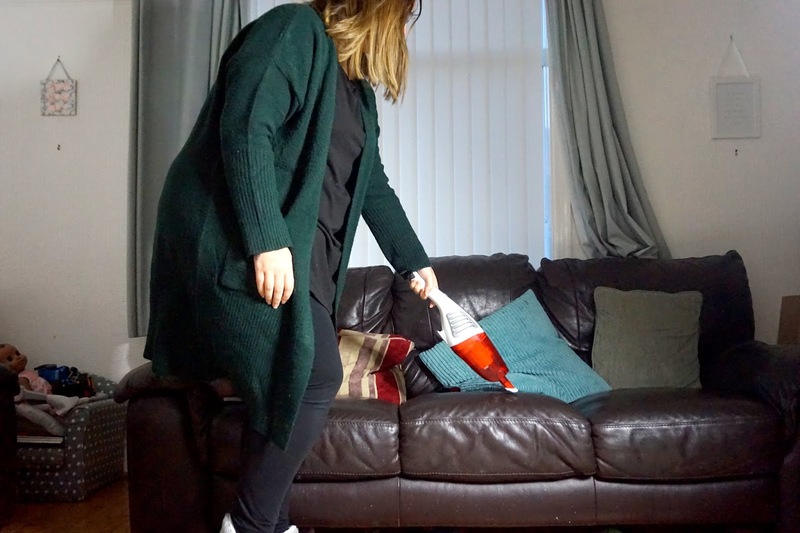 It's handy for vacuuming crumbs/dust from your sofas, dining table or any floor/surface that needs a vacuum. After charging, it has a 10 minute run time and due to its size, it's easy to store and doesn't take up much room either. It also comes with a dusting brush that is good for giving a gentle clean to some delicate surfaces. It's an affordable handy product to have in your home, I would recommend it.